What’s the difference between a fracture and a sprain? | Podiatry Associates, P.C. What’s the difference between a fracture and a sprain? Although fractures and sprains can both be painful and debilitating, they are two different injuries that affect totally different structures in your limbs. A fracture is a break in bone tissue. A sprain is a severe overstretching or possibly tearing in the ligaments that support a joint. Sometimes these injuries can happen at the same time, depending on how you hurt your foot or ankle. Even so, they are not the same thing. 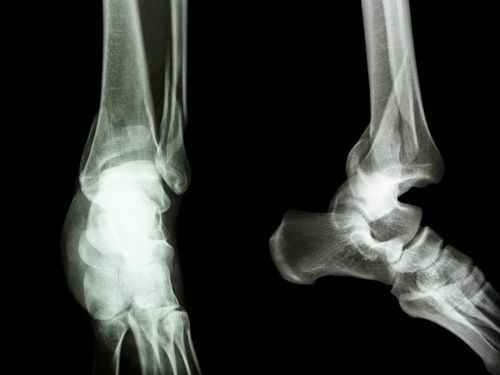 The most accurate way to tell if you have a fracture or a sprain is to have your foot examined. A fracture will show up on an x-ray. Experts like our team at Podiatry Associates, P.C. will be able to test your ligaments for a sprain, though our specialists may still use diagnostic images as well. Whether you have a fracture or a sprain, though, you need immediate care to get the best healing. Contact our offices in Castle Pines, Cherry Creek, and Parker, CO, for an appointment to take care of your lower limbs today. You can reach us online, or by calling (303) 805-5156.